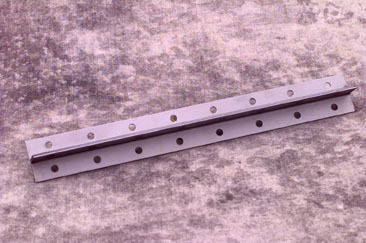 Weld-on pinch weld brackets. 12" brackets for welding to bottom of automobiles without pinch welds. Works with most pinch weld holding systems. Allows for hook-up to a frame rack or hold-down system.